The Coral-Eclipse Stakes is named after Eclipse, a celebrated 18th-century racehorse. It was established in 1886, and the inaugural running was won by Bendigo. At that time, it was Britain's richest ever race. The prize fund of £10,000 was donated by Leopold de Rothschild at the request of General Owen Williams, a co-founder of Sandown Park. The Eclipse Stakes was contested by high-quality fields from its inception. It was won by Ayrshire, the previous year's Derby winner, in 1889. The first three finishers in 1903 - Ard Patrick, Sceptre and Rock Sand - had won seven Classics between them. The race has been sponsored by Coral since 1976, and it is now familiarly known as the "Coral-Eclipse". 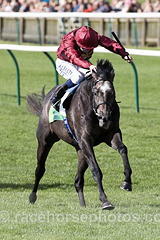 The most recent Classic winner to achieve victory was Sea the Stars in 2009.